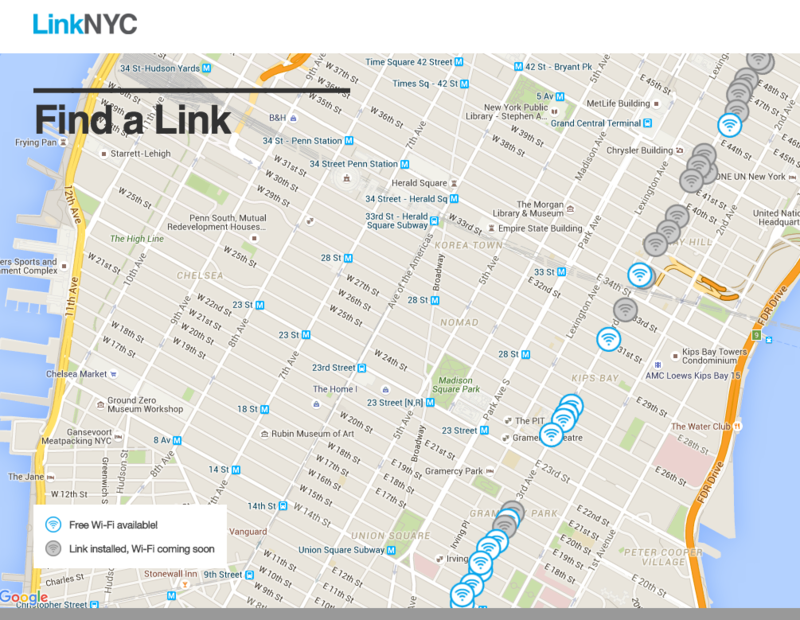 Update 2/16/16: LinkNYC has recently launched a WiFi hotspot finder for their network of Gigabit hotspots. From looking at the current map, they are clearly focussing on 3rd Avenue right now, but hopefully they will soon begin to expand to other areas of the City. Check out their finder here. In addition to finding the locations, you will be able to see the status of the installation, whether it is installed and live or just installed and waiting to be activated. UPDATE 1/21/16: Based on a video recently release by LinkNYC (see below for video) it seems that the WiFi hotspots going up across NYC will have a Key/Private Network associated with it. It appears from the video that the first time you connect to a LinkNYC hotspot you will be prompted to enter your email address (they promise security and privacy). After entering email and hitting connect, they say some device will see a screen to prompt you to install the LinkNYC Private Network. It seems from the video that after you install the Private Network on your device, you will automatically connect to the LinkNYC hotspots whenever you encounter them. I am hopeful that this will become a trusted WiFi for Project Fi, but until I encounter one myself I won't know for sure. According to a report today by The Verge, NYC has begun the long awaiting conversion of existing telephone booths to WiFi hotspots. This will become a huge benefit to Project Fi customers looking to spend as much time on WiFi as opposed to Cellular towers. Back in 2014, Mayor Deblasio announced this plan along with the winners of the installation contract. The first sighting of this installation was spotted near Union Square in Manhattan. Based on reports, the installations will have a range of 150 feet. It is not known at this time if these will become trusted Project Fi hotspots or if users will need to access a splash page first. After recent controversies in the initial deployment, a Google spinoff company has purchased the installers Titan and Control Group. 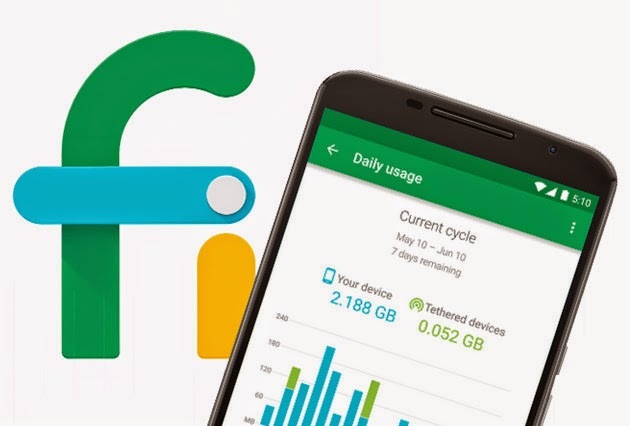 It remains to be seen how Google's involvement will benefit those using Project Fi. VPN are on my radar and I know nothing about them. On Nexus 5x and project fi is it automatically operation? Is there any kind light that you can shed on the setting situation when it come to VPNs? Thanks you in advance for your help!!! The below info is from a project fi help forum (Nexus 5x) I just followed and activated. Go to phone settings, scroll down to Google and tap it, scroll down to networking and tap it, then make sure the toggle for use open wifi automatically is enable. Wifi assistant should show up in VPN settings once that is enabled.